OK, so I don't know exactly where Legacy is going these days. 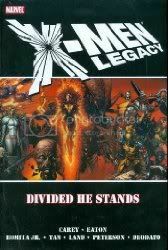 It only seems to be around as a series to revise and sort out all the side stories that have been dangling around in the X-universe for years. Sorting out Professor X. Mr. Sinister. Wolverine and Daken. Now Rogue and Danger. Don't get me wrong, it's good that these plots are finally being dealt with, but it just seems like they are rushing through all of them right now so that they can finally start integrating Legacy back into the mainstream stories. Which is fine. It looks like Legacy will be involved with the Utopia crossover, which is good, since it will seem like the series actually has some direction again. The X-Men get up to the delicate art of living as the Sisterhood plan their imminent demise. The Science Team gets to work, trying very hard not to kill one another first. Simon Trask gains traction in the California state legislature, muscling "Proposition X" to an emergency ballot vote. If it passes, mutants past and present, powered and otherwise, won't be allowed to breed. All this, and a friend returns as a foe and ready for murder! Oh, things are getting ugly... Collects Uncanny X-Men #508-512. I'm becoming more and more impressed with Matt Fraction as the current writer on Uncanny. His writing reminds me of Joss Whedon's work on Astonishing, where the story seems more character-driven, with the big action happening, but more in the background. Yet the plot doesn't ever seem to suffer at the expense of the characters. It's all the a realy great balance of storytelling. We finally find out what Madeleine Pryor, the Red Queen, has been up to these last couple of issues, but we don't find out why. It seems that she can bring people back from the grave with the help of her Sisterhood, a group of female villains that she brought together to help her achieve her means. When her ultimate objective is finally revealed, I felt a little lost, because there is no real explanation as to its cause, but maybe that's a story for another time. I particularly enjoyed the X-Club's jaunt into the past, a past that seems to be heavily steampunk influenced, in search of possible answers to the reactivation of the X-gene. We even get our first glimpse at the first (steampunk) Sentinel! A nice little addition to the current story, tying up several threads and leaving just enough to whet the appetite for the upcoming Utopia event. Oh, and Greg Land continues to blow me away with his hyper-realistic art. Stunning. After his bruising encounter with Cyclops and Emma Frost, Professor X is forced to revisit the biggest challenge and the biggest failure of his career: Logan. But the layers of lies hide one last, deadly secret which goes back to the days of the X-Men's founding - and the Professor's timing couldn't possibly be worse! Collects X-Men: Legacy #217-218, Wolverine: Origins #28-30, and X-Men Original Sin One-Shot. OK, could there be anything more tiresome than yet another revision to Wolverine's history? Yes, there can be. Yet another Wolverine ripoff character. 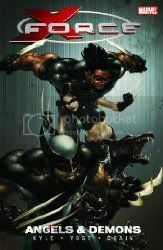 There have been many attempts at writing/rewriting his history and several attempts at creating characters that can be used to make more Wolverine-ish stories (X-23! ), so now Wolverine apparently has a son with the seemingly same powers and seemingly same memory problems and seemingly same berserker rage - but wait! There's a difference! Now, he's a bad guy! to me, this is just a little lazy. It's basically Wolverine all over again. In fact, Wolverine goes to Professor X to try to do the same brainwashing on Daken that Professor X did on Wolverine back in the day, in yet another revision to his past. The only reason I'm giving this lazy story anything more than 1 star is because the parts around the story are well written and the ending actually didn't go where I thought it was going to go, even though it still ended up paralleling Wolverine's own story a little bit too much. In the depths of his heartache over Kitty Pryde, Colossus goes looking for something - anything - to stop his pain... and finds a nightmare from the Old Country running rampant in the States. What's their connection? Elsewhere, Angel and the Beast begin a worldwide quest gathering some of the most unique minds on Earth and run across a hero long thought dormant. Emma checks into a hotel you have to see to believe, while poor Scott sits idly by... oh, and then footage showing the Alaskan Massacre that kicked off Messiah Complex is released to the media. Just another day in the life of the all new, all different X-MEN! Collects Uncanny X-Men #504-507 & Annual #2. I've seen a lot of varying reviews on this particular volume. Some love it, some hate it, many are "Meh" over it. The reason is, there isn't much in this volume that can stand up as a stand alone volume. This is a "middle-of-the-story" volume, but you can't get from the beginning to the end of a story without something, in the middle right? There is lots going on in the X-Men universe by this time, and in Matt Fraction's stories, this is one of the main tie ins to what's to come. 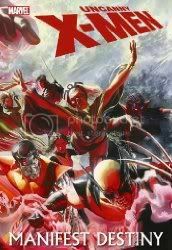 We see more of Madeleine Pryor as the Red Queen; Beast is recruiting his own version of the X-Club to try to figure out the secret to unlocking the X-gene; Colossus is off rescuing kidnaps Russians; and footage of the massacre in Alaska is leaked. But that's all there is in this volume, glimpses of the events leading up to things yet to come and the beginnings of lots and lots of secrets. The inclusion of Annual #2 is a tie in to the Dark Reign story line moving throughout the rest of the Marvel Universe at this time. It seems to be a bit revisionist (but what isn't, these days?) and it seems a little out of place in the grand scheme of this story, but it does solve one mystery from the early issues in the volume: what was going on with Sebastian Shaw? 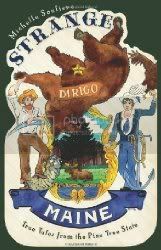 This is a collection of non-related stories that deal with the X-Men moving to San Francisco, and how some of them are adjusting to the move. I don't think there is anything in this volume that would be missed if it was to be skipped if you are reading through the current story lines. Not a necessary volume at all, in my eyes. This may sound harsh, but the best part for me about this volume is the Michael Turner cover. 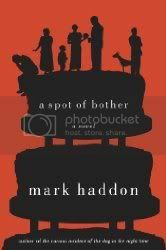 I think Mark Haddon may be becoming one of my favorite authors. I read TCIOTDITNT a couple of years ago and just loved it. Shortly thereafter, I found a copy of A Spot of Bother at a library sale and picked it up, and regret to say that it has taken it this long for me to take if off my bookshelf to read it, but that's to the TIOLI Challenge, I finally worked my way around to it. And loved it. And can't wait to read more Mark Haddon. Haddon's way of taking something that would probably be either ignored or looked upon uneasily because it should be a subject best left alone is amazing (in TCIOTDITNT, it is Christopher and his Asperger syndrome, in ASOB, it's George and his insanity). What's more amazing to me is how he can create a story that is both unsettling-ly funny and deceptively touching out of something that by all rights should be uncomfortable. To me, this speaks volumes about his ability as an author. George's slow yet steady fall into madness is the base ingredient for the story, but it's the cast of characters and situations that surround George that really add the spice to the story. His wife, Jean, who is having an affair with his ex-coworker David. His daughter Katie, and her on-again-off-again fiancé Ray and her son from her first marriage, Jacob. His son Jaimie, and his boyfriend, Tony. All these characters come and go through the pages of George's story, all trying to deal with their own lives and issues while all are slowly piecing together the possibility that George may in fact be losing his mind. It's a darkly comic story that I couldn't put down. Haddon seems to have a way with this stories like this, because the same thing happened with TCIOTDITNT; once I let the story pick me up, it wasn't going to let me go until I'd finished the book. Recommended, especially if you enjoyed TCIOTDITNT. This was a great kick off to a new chapter in the X-Men story. 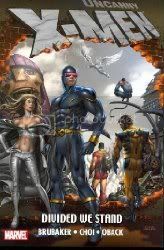 After basing their operations out of NYC almost exclusively for decades, the X-Men are moving to the west coast after the destruction of the mansion, and are setting up shop in San Francisco. They build themselves a new home there in abandoned military outposts around the city, and open their doors to all mutants, both active and former, who seek refuge there. Magneto shows up, mysteriously re-powered, and helps the High Evolutionary collect technology from the Dreaming Celestial, to a purpose that as yet seems to be a mystery. Greg Land and Terry Dodson's art is amazing; both artists have such a dynamic style each to their own, and their storytelling is really good. Sometimes it's hard to follow what an artist is trying to illustrate, but not with these two. They are two of the best artists working on the X-Men in a while. I'm anxious to see where Matt Fraction is going to take these characters in the future. Congratulations to Neil Gaiman on winning the Carnegie Medal for The Graveyard Book. Here's an interview with him from Borders. 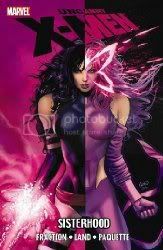 Is she mutantkind's last hope... or its final damnation? 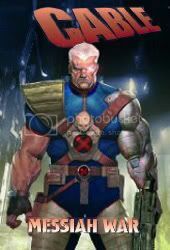 Cable, the former mercenary and time-traveling X-Man, is given the task of protecting the last offspring of the dying mutant race, but by ensuring her survival, he may also guarantee its extinction. Bishop, the cop from the future and traitor to the X-Men, stalks Cable and the infant in the lawless New Jersey of 2043, determined that the nightmare future he grew up in must never come to pass. Now, aided by an old ally, Cable must decide if he should continue running or face Bishop, while bringing hope to a hopeless land. Crime novelist Duane Swierczynski (Moon Knight: Annual #1) and artist Ariel Olivetti (Punisher War Journal) team-up to put a new twist on a beloved X-Men mainstay, as Cable must balance hard-edged soldier with nurturing father. Collects Cable #1-5. So, I can imagine that quite a few people will give me crap about reading comics and graphic novels. I'm sure every time one of these posts rolls across on my FB wall or even on my LT thread, there are going to be some that roll their eyes, mumbling something under their breath about comics being for kid and move on. And, you know what? I'm OK with that, because they are missing out on some just plain fun reading. Like any story-telling medium, there are going to be highs and lows in the story, but when you're working with 40+ years of history behind you, it's just bound to happen. The X-Men have been around since 1963, so there is quite a bit of history and back story that each new creative team needs to try to stay true too, while infusing their own particular brand of creativity into the characters. In most cases, this is what keeps the story and characters fresh. 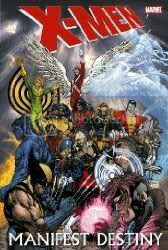 In the case of the stories going on right now within the X-Men titles, there has been a fairly significant event (if you frequent this blog, it's the oft-mentioned Messiah Complex), and even in that one event, you can get highs and lows in the story and its spin off series. However, in some cases, even the lows need to be read and appreciated because they may have repercussions on the overall story that may make their worth more significant in the long run than what the immediate story provides. This new Cable series is one of those cases. I didn't feel like the story really had any merit other than setting up a larger arena for the story to play out in later. I'm a little behind on some of these side series, but am still somewhat familiar with what is happening in the current stories, so I know that what is happening here may not seem all that interesting, but farther down the road, these stories may mean more. 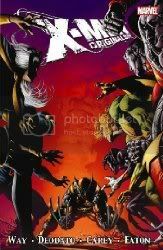 Cable escapes into the future with the mutant child born during Messiah Complex, to keep her alive since Bishop seems hell bent on killing her, as he sees her as the cause of his alternate reality, while Cable and the rest of the X-Men see her as the beginning of the future for them. Bishop follows Cable, and through some rather too convenient circumstances, tracks Cable and the child to the New Jersey of 2043, and confronts them, trying to kill both. Cable, after several issues of trying to travel back in time even though he seems unable to, finally figures out that he can still forward in time, and jumps just in the nick of time, leaving Bishop behind and having to start his search all over again. So basically, I felt that we arrived right back at the beginning of the story again, just with Cable and the child farther into the future. Did this seem worth it right now? Not really. Will there be some significance to the events in this volume that will be important in later stories? Possibly. And that's why I'm willing to give it a chance into the next volume. It's like putting the pieces of a puzzle together, and you don't always know when one piece that has been eluding you is finally going to come together with the larger picture. 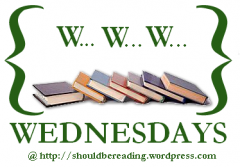 Can't figure out what to read next? Just type in the name of your favorite author and see who comes up! Not sure how I feel about this, but you know I'm going to go see it. 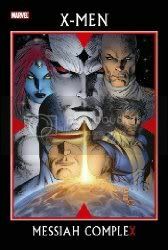 Xavier traces his history and the history of the X-Men to the core. What he finds will shock you! And what do Rogue, Gambit, and Sebastian Shaw have to do with it? Then, Sinister's machinations finally come to a head, after decades of preparations. Can Xavier discover the secrets to the plot against his mind before he loses his sanity? Or will he become another in a long line of victims? Either way, he just may learn things about his past he'll come to regret! Guest starring Sebastian Shaw and the deadliest gator in the swamp, Gambit! 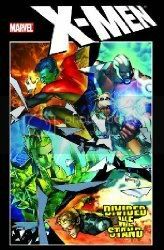 Collects X-Men: Legacy #213-216. Alas, we go right from one story that is decent to one that is mediocre, more or less. I'm not exactly sure what the point of the story was other than to bring Sinister back into the story for the umpteenth time (and people complain about Jean Grey coming back...). Anyway, I'm sure there is going to be a point to the "shocking" reveal at the end of the volume, but for right now, it left me wanting something more. The art was decent, and really, the story wasn't bad (although a little disjointed in sections) but I'm really hoping it's leading up to something better. And for anybody interested, I think you can safely skip the follow up stories. I think these were placed here just to fill up space. In the wake of Messiah CompleX, there are no X-Men and mutantkind still lies in ruin. 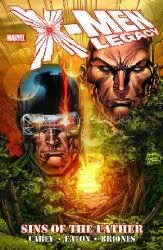 With Magneto depowered and Xavier gravely injured, it seems their reign as the preeminent mutants has ended. But neither of these old soldiers is willing to go gentle into that good night! 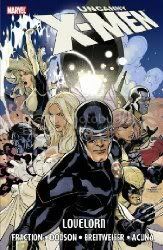 Fresh off a groundbreaking run on Messiah CompleX, writer Mike Carey takes on mutantkind's most iconic figures, as well as some of the most important moments in X-Men history. 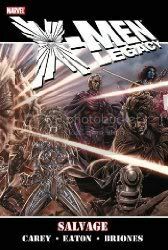 Collecting X-Men Legacy #208-212. After the events of Messiah CompleX, Professor X is trying to piece his life back together, literally. After being shot in the head by Bishop, Xavier's body is taken by the Acolytes and Exodus repairs the damage to his brain, but isn't able to reconstruct all the memories in his head, so Xavier then goes on a mission to meet up with people from his past so that he can read their memories of him and try to reconstruct his life, even though he doesn't necessarily like the person that he was. Overall, not a bad story. I actually enjoyed this Messiah CompleX follow up story a little more than the story running concurrently over in Uncanny X-Men. The use of different artists when they were jumping back and forth between flashbacks and now was a nice touch. The premiere American fantasy adventure gets the Merry Marvel treatment! Eisner Award-winning writer/artist Eric Shanower (Age of Bronze) teams up with fan-favorite artist Skottie Young (New X-Men) to bring L. Frank Baum's beloved classic to life! When Kansas farm girl Dorothy flies away to the magical Land of Oz, she fatally flattens a Wicked Witch, liberates a living Scarecrow and is hailed by the Munchkin people as a great sorceress... but all she really wants to know is: how does she get home? OK, so I'm not going to go into the story here, as I think most everyone is a least marginally familiar with Dorothy and her adventures in Oz. What I will say is that Eric Shanower did a fairly decent job adapting L. Frank Baum's story for the sequential art medium, but it's really the art of Skottie Young that makes this book worthwhile. Young's art is fresh and whimsical and just a little creepy and I think he really captures the essence of Oz and its quirky inhabitants perfectly. 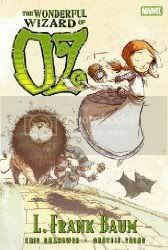 I don't know that Oz purists will appreciate this volume very much, but as a fan of the original book, I can say that I really enjoyed it. Get ready, kids. This summer, it's all going to be about brain candy. Just saying. The biggest event to hit the X-Men in ten years is here! Just when it looked like there was no possibility of a future for mutants, hope arrives. But the X-Men aren't there to meet it - the Marauders and Purifiers beat them to it. Now the race is on to get the first new mutant since House of M! Collects X-Men: Messiah CompleX One-Shot, Uncanny X-Men #492-494, X-Men #205-207, New X-Men #44-46, X-Factor #25-27, and X-Men: Messiah CompleX - Mutant Files. In Stephen King's mesmerizing new novel, a Maine town is subject to the imposition of an impenetrable dome that isolates its citizens from the world. 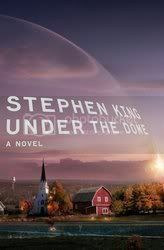 "Wow," was more or less my singular thought as I read Stephen King's Under the Dome. I was concerned at first that such an ambitious novel (1074 pages!) was going to loose its steam either under the shear number of characters inhabiting it or just by its own bulk of story, but I was wrong on both counts. King navigates his characters through the ten days that the novel spans with both an ease and sense of purpose and urgency that makes the novel at the same time easy to follow and keep-you-on-the-edge-of-your-seat suspenseful! King doesn't waste any time getting into the meat of his story; the Dome that traps Chester's Mill, a small town in Maine, falls into place about three pages into the story. Anyone unfortunate enough to be on the threshold of the Dome falls victim immediately (for instance, one woman was just reaching out far enough into her garden to lose a hand). Birds fly into the invisible barrier, cars drive into it, people walk into it; one minute the Chester's Mill is going along its day, minding its own small-town business, the next it is cut off, totally and entirely, from the outside world by an impenetrable, invisible barrier that defies all explanation. What follows is a story more of psychological exploration and exploitation than King's more "horror"-based stories. I really don't want to give away anymore about the story, because I think that it's important for the story to unfold for the reader without much prior knowledge of what's going to happen. But believe me, the story will pick you up and carry you in its tide, sometimes barely leaving you a chance to catch your breath. A lot happens in this story, so there is little time for King to let you calm down before he's throwing the residents of the town and the reader into the next set of problems. One of the things that did detract from the story for me was the reactions of some of the town's inhabitants. Some of their reactions just seemed so unbelievable (never mind the fact that the town is totally engulfed in an invisible Dome... apparently I have no trouble believing that aspect of the story). The reactions of both those inside and outside the Dome seemed just too extreme at times, but of course, I also think that's the point of the story; how far can people be pushed before they absolutely and totally snap from this reality? And of course, it's also Stephen King we're talking about here. Of course, he is going to take his readers on a wild and strange ride that is just this side of believability, making it just that little bit possible. It's what he does. To be honest, the ending did leave me a little perplexed. It almost seems to me that King had written this amazing story, and then couldn't himself explain how it all happened. I'm not saying that the ending is a cop out, not at all. It just seemed a little abrupt and didn't really feel like it fit in with the overall presence of the rest of the book. However, it is so overshadowed by the shear grandness of the entire story leading up to it, including the moments leading directly up to the ending that practically left me breathless, that I am able to easily forgive it. Under the Dome is big, there's no question about that. The story is big, the characters are big, their problem is big, the Dome is big; hell, the actual book is physically big! But don't let that dissuade you from reading it. King has created one hell of a story and once you get lost in Chester's Mill, much like the inhabitants that find themselves trapped under the Dome, you'll find that there isn't much hope of escaping until the very end. 40. 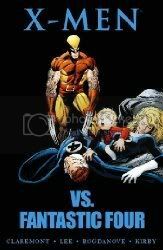 X-Men vs Fantastic Four by Chris Claremont, Stan Lee, et al. Authors: Chris Claremont, Stan Lee, et al. Old soldiers may fade away, but so do young mutants! On the verge of disintegration, Kitty Pryde seems resigned to her doom - but the X-Men will do anything to save her, even bargain with a worse doom... Doctor Doom! What stunning secret prevents Mr. Fantastic and the Fantastic Four from saving the day instead? Is he terrified of failing because his greatest failure, the fateful rocket flight, might have really been his greatest success? Do the answers all come down to wunderkind Franklin Richards? Plus: the classic tale of the two teams' original face-off in Marvel's early era! Collects Fantastic Four vs. the X-Men #1-4, and Fantastic Four #28. Not a whole lot to tell here. This was basically an excuse to put out another miniseries to try to make some more money disguised as a loosely written plot to heal Shadowcat from the injuries she incurred during the Mutant Massacre. It all feels a little dated and forced, but it keeps the story moving along from the Mutant Massacre. Only recommended for diehard X-Men fans. Like me. I'm such a geek sometimes. And for those in the Lansing, MI area, come meet Nnedi Okorafor at Schuler Books in the Eastwood Towne Center tonight at 7pm!